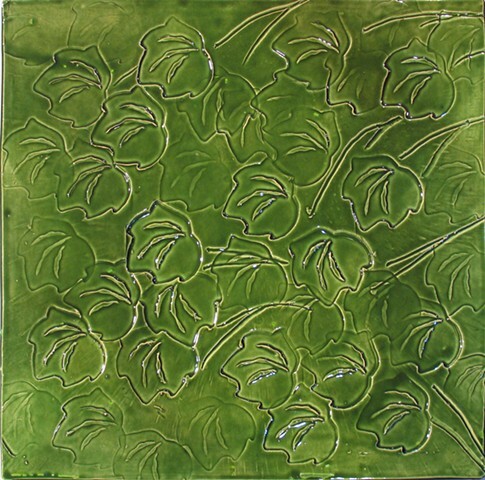 Original hand cast tile with bas-relief surface. Ships with wall cleat and wood frame backer to project tile 1" off wall. Can also be directly installed on wall with tile adhesive. Custom commissions available. All tiles one of a kind. Available in other colors, as well as 8"x8" tile size.